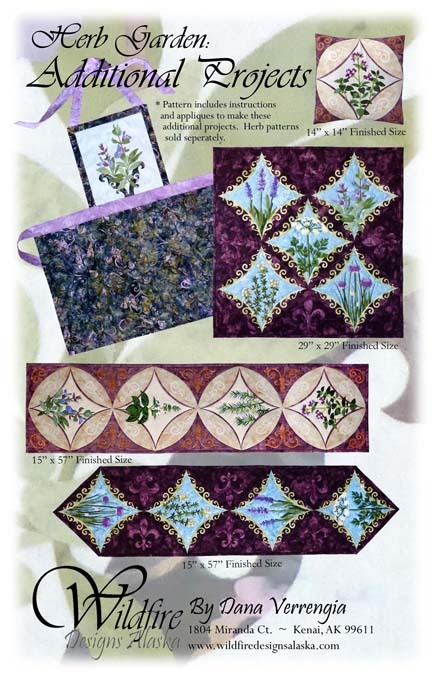 This ninth pattern, Herb Garden: Additional Projects, takes the Herb Garden series to a new level, creating the French and Italian color scheme ‘blends’ using additional appliques to make tablerunners, five-block wallhangings, an apron & throw pillows. Or choose your favorite herbs to create a custom blend. *This pattern includes instructions and appliques to make the addtional projects. Herb patterns are sold seperately.